Perhaps you’ve seen what’s dubbed “peanut butter and jelly 2.0,” which is sort of a flawed name given all the presence of honey, and marshmallow fluff, but let’s skip the details. 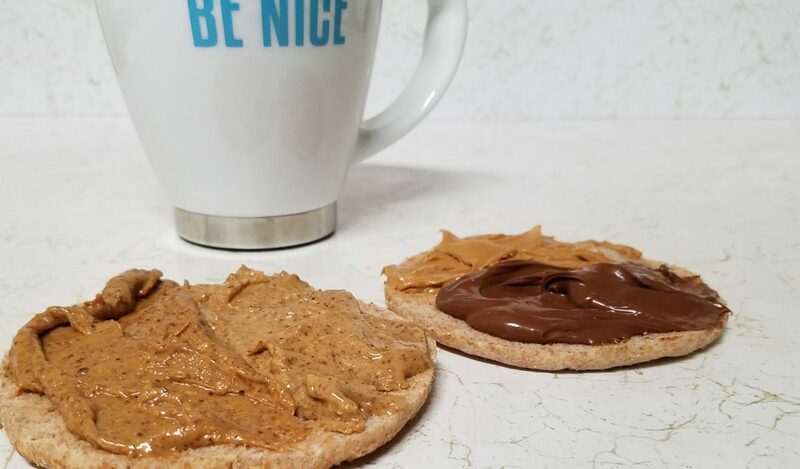 We were interested in the application– rotating bread to make flavor combinations– so we made this nut butter blast: on one side we have maple almond butter and vanilla almond butter, on the other we have peanut butter and hazelnut butter. Smash those sides together and you have four different sandwiches in one! The vanilla almond meets peanut butter is terribly bland, but the others are a magical delight. But please, have your milk or coffee on hand and no nearby conversations, because this is a very roof-of-your-mouth sandwich experience. It’s worth the creativity and the massive amount of fats you’ll consume in a sitting, if your diet can afford it.